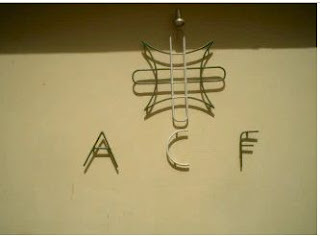 The apex northern socio-cultural group, Arewa Consultative Forum (ACF), yesterday deliberated on mineral resources exploration in the region at its Annual General Assembly held in Kaduna. The 2016 edition of the ACF General Assembly is also expected to discuss and evaluate strategies to adopt in improving on the successes already recorded in the area of security in the North and Nigeria in general. The meeting which was presided over by the group’s deputy chairman, BoT, AVM Mukhtar Mohammed, deliberated extensively on how to enhance solid minerals exploration in northern Nigeria. The forum is also considering the possibility of floating a security summit on insurgency, kidnapping and cattle rustling among others. Briefing members about the activities of the forum in the last one year and the projection for the coming year, the secretary-general, Col. John Paul Ubah (retd), said the ACF was in the forefront of leading the campaign for the exploration of solid minerals for the development of the region. He also revealed that the forum had been in talks with an exploration firm to prepare a template of solid minerals deposits in the region. “The forum has been in close contact with Messrs Bima Rocks and Minerals to prepare a template of solid minerals deposits in the North and to produce and launch a master chart which will be used to solicit the prompt action of northern state governors on solid minerals exploitation for the benefit of the region,” he said. On the security summit, the ACF scribe said the summit, which is targeted at sensitising stakeholders on the menace of insurgency, kidnapping, cattle rustling and others, would hold before the end of 2016. According to him, the organising committee of the summit was inaugurated earlier this month, with former Nasarawa State governor, Senator Abdullahi Adamu, as its chairman. In attendance at the meeting were former governor of Nasarawa State, Senator Abdullahi Adamu; AVM Mukhtar Mohammed; Senator Joseph Waku; former ACF chairman, Alhaji Aliko Mohammed, Ambassador Marina Mohammed; former Federal Character Commission chairman, Professor AbdulRahman Oba Abu; ACF secretary-general, Col. John Paul Ubah (retd); former president of the Court of Appeal, Justice Mamman Nasir; Gen. John Shagaya; managing director of Sir Ahmadu Bello Memorial Foundation, Shettima Aji Ali, and Senator Abubakar Girei among others.